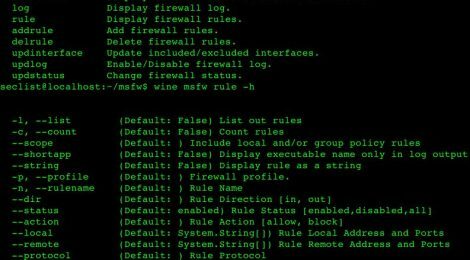 Browse: Home / msfw – a simple CLI solution to configuring the Windows Firewall. 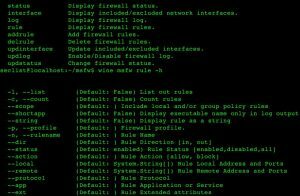 Goal: Provide a simple command line interface to the built-in Windows Firewall Why? * For some functions, administrative privileges are required. * Visual Studio for build from source. On Windows, a network connection is assigned a “profile”: Domain, Private, or Public. The Microsoft firewall can be enabled/disabled for any or all profiles. Similarly, rules can be configured for any or all profiles. interface Display included/excluded network interfaces. -p, --profile (Default: ) Firewall profile. -n, --rulename (Default: ) Rule Name. REQUIRED. --action (Default: ) Rule Action [allow, block]. REQUIRED. --dir (Default: ) Rule Direction [in, out]. REQUIRED. 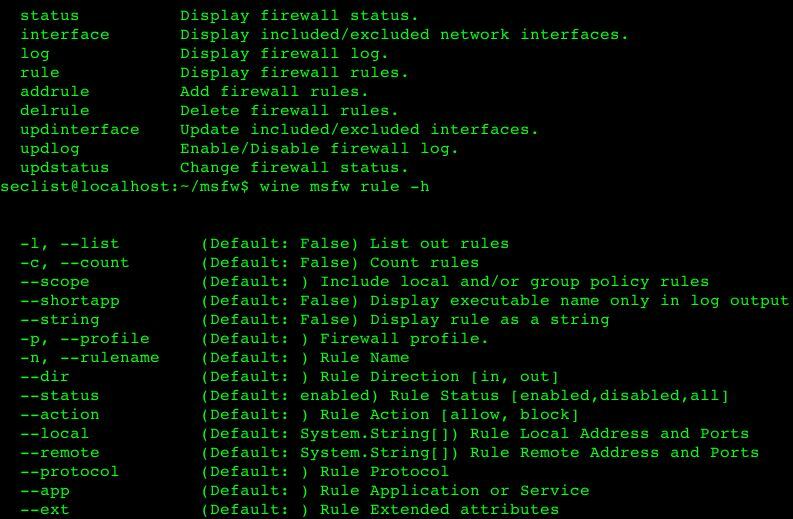 ← Toolkit to emulate firmware and analyse it for security vulnerabilities.